It's hard to count how many rock and roll songs have been written over the years cursing the prospect of getting old. But AARP says getting old is not so bad. The seniors advocacy group bases that on the results of a new survey of both older and younger Americans. Among those age 18 to 39, nearly half said they believed getting old would be depressing. However, among those 60 and up, only 10% felt that way. The survey shows that seniors actually have a higher level of satisfaction with life than their younger counterparts. But there are also obvious downsides to getting older unless you remain physically active, and a new study suggests the best way to promote activity and better health is to turn off TV. The study by researchers at George Washington University (GW) shows seniors who watched five hours or more of TV a day and got fewer than three hours of physical activity per week were three times more likely to be unable to walk at the end of eight years. Loretta DiPietro, who chairs the Department of Exercise and Nutrition Sciences at GW’s Milken Institute School of Public Health calls TV viewing a very potent risk factor for disability in older age. “Sitting and watching TV for long periods, especially in the evening, has got to be one of the most dangerous things that older people can do because they are much more susceptible to the damages of physical inactivity,” she warned. The GW study followed men and women who were 50 to 71 years old at the start of the study and all were in good health. Eight years later, 30% of them had trouble walking or could not walk at all. Those who watched five hours or more of TV per day were 65% more likely to be part of that 30%. Other studies have warned of the dangers of too much sitting for all age groups. 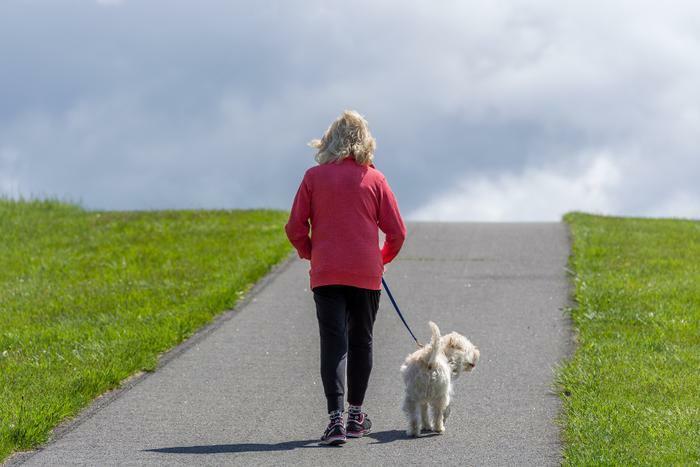 The lesson, says DePietro, is that seniors who want to remain fit as they age must get up and move around more, limiting their time on the couch.